Don’t forget to join me for the Beyond the Box Mini Murals Gala on Saturday, September 19 at Silver Street Studios which is free and open to the public. As a co-chair of the event, I hope to see many of you in attendance to celebrate this civic arts project in our wonderful city of Houston! Mini mural artists will also be there and VIP admission is available which includes a preview with the artists, an auction, light bites, and drinks. Before the Beyond the Box Gala, map out your own Mini Murals tour with the handy online Mini Murals map. 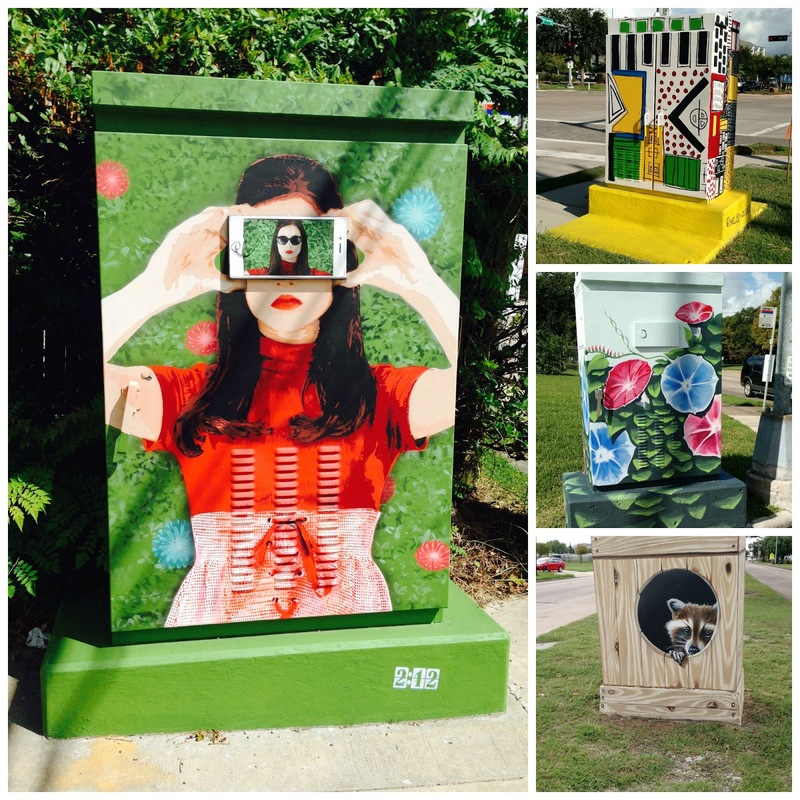 Here are a few ways to enjoy the artwork and explore Houston. ? I brake for Mini Murals! Plan for pit stops along West Bellfort to view many of the murals. Score points for who can spot the box first! If you have soccer fans in the family, take a trip to the Futbol Mini Mural at the corner of South Braeswood and Buffalo Speedway where there’s also a nearby trail along the bayou for a bike ride or a walk. See you at Silver Street Studios!